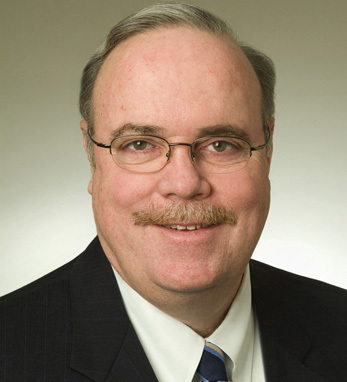 Edward J. Joyce is president and chief operating officer of the Chicago Board Options Exchange (CBOE). He began serving in that capacity in June 2000, following his election by the CBOE Board of Directors. Prior to that, Ed served as executive vice president in charge of business development and in that role was responsible for coordinating various key activities central to relationship management. He has been with the Exchange since 1974. Joyce serves on the Board of Directors of the Options Clearing Corporation and CBOE Futures Exchange. He is on the Advisory Board of the Illinois Council on Economic Education and is active in the Knights of Columbus. A second-generation Irish-American with roots in Kilkenny Wexford and Clare, he earned a B.S. in Business Administration from Illinois State University and an M.B.A. from DePaul University.